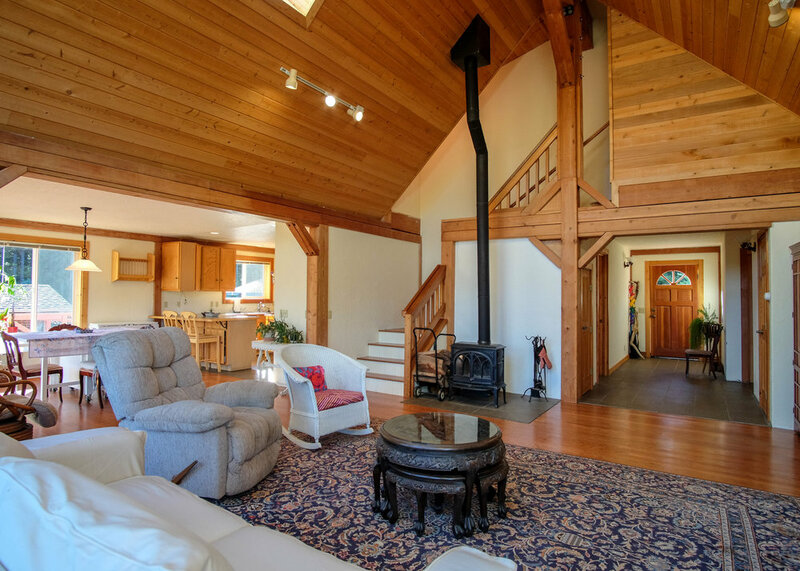 Gorgeous ridge top home located 4 miles East of Point Arena. 2 bedrooms, 2 baths, office, and upstairs rec room. Custom built in 2003 this residence features post and beam construction which brings a rustic feel to this elegant structure. Large decks surround the home and add multiple vantage points to the great eastern views of the Garcia River Valley and Coastal Range. Some tree work on the northern end of the property can bring in ocean views. Also on the property are multiple outbuildings for storage and play including a Sauna with outdoor shower and 3 car carport.